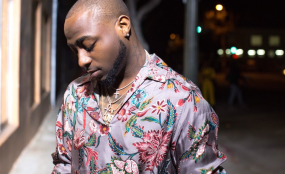 After his sold out show at the London 02 Arena, it's more than obvious that Davido is one of the biggest music exports of Africa on the global scene. However, in a recent interview with Channel 4, the singer has revealed that detectives in the United States came to search his house when he first bought it. He said "I'm the only African person in that neighbourhood so I moved in and two days later, detectives came to my door. They came in and searched the whole house asking me what I do because I bought that house cash. I don't have a problem with authorities but it might be shocking, I won't say it is racism, that's how they've been brainwashed. Living in America, you are brought up to think that Africa is a no-go area. In Africa, we are brought up to think that these people took everything from us so that is something that we have to fix."